Looking to get out on the water? 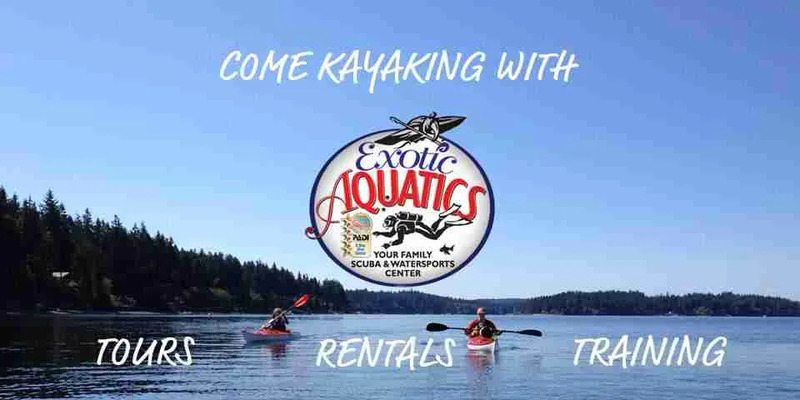 Our top of the line sea kayaks will get you where you need to go, whether it’s a relaxing paddle around Eagle Harbor, or an overnight camping trip out to Blake Island. Come see the amazing scenery and wildlife of Bainbridge Island and the Puget Sound today, we’re just a short ferry ride from downtown Seattle! We have a variety of kayaks suitable for all skill levels and body types. Please feel free to call ahead with any concerns.